The Environmental Caucus at Northern Arizona University works to promote conservation education, innovative research and sustainable operations in relation to their commitment to a green campus. 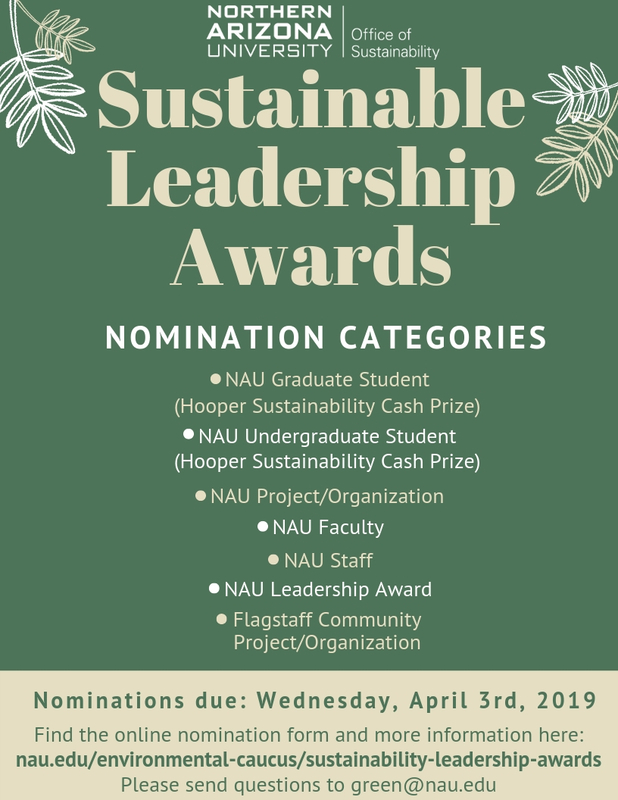 Each year, individuals who have made tremendous efforts toward their own green initiatives are recognized through the Sustainable Leadership Awards—and someone you know could be the next recipient! Know someone in the Northern Arizona University community who has done an outstanding job on campus? Now is your chance to nominate them for the Louie Awards. 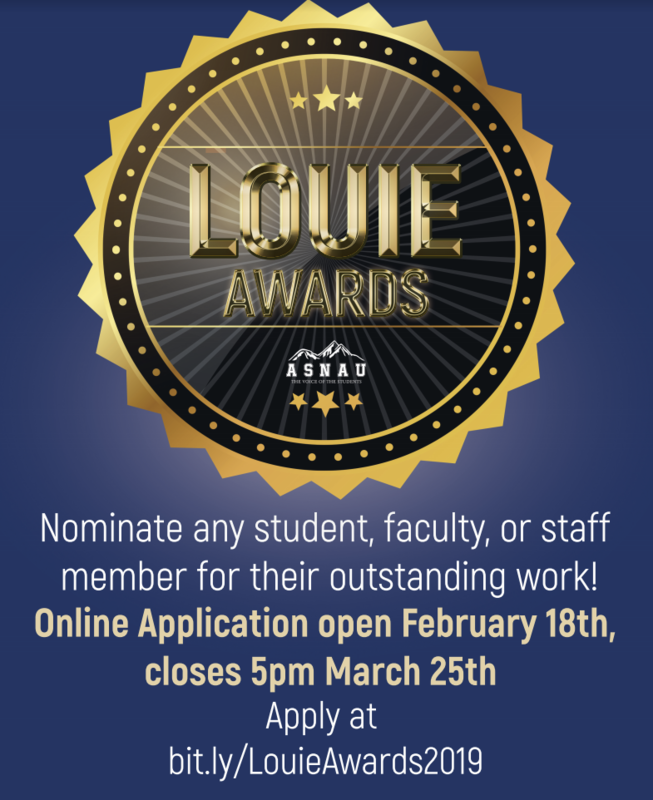 The Louie Awards recognize students, faculty and staff who have made an impact on the NAU community and didn’t get recognition for it. Nominations for the awards are currently being accepted by the Associated Students of Northern Arizona University. Employee Development Day at Northern Arizona University is back, and organizers are looking forward to another successful year. What does “truth” mean? 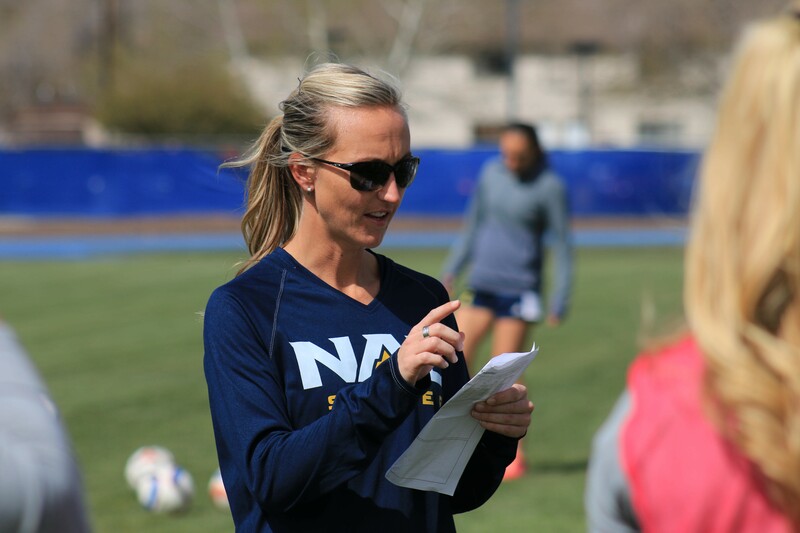 Northern Arizona University’s Graduate English Organization welcomes keynote speaker NAU alumna Christine Tardy to address the theme of this year’s annual PEAKS Interdisciplinary Conference from 4:30 to 6 p.m. March 9, in the Liberal Arts building, room 120.